You’ve probably seen ads for Stitch Fix, but you might still have questions about how it works, what the costs are, and whether it’s worth it. Below I explain how Stitch Fix works, and share why I feel that it can help simplify your life (and your closet). You don’t like to shop. You love shopping, but you’re just way too busy with work/kids/life and can’t find the time. You sort of like shopping, but you get overwhelmed trying to figure out what you need and what looks good on you. You live in an area that lacks good clothing stores. You have some items in your closet that you can’t find a match for, no matter how hard you try. If so, you should definitely consider trying out Stitch Fix . Pretend you have a friend who loves to shop, knows all the current trends, and has a good sense of your personal style. Since she goes shopping all the time, she offers to pick out a few things for you from her favorite stores. You spend a few minutes giving her your size/measurements, your budget, and some ideas about what you do and don’t want. You also tell her you have a baby shower to go to next week, and that you’d love a pretty top or a dress to wear to it, as well as a cute necklace or scarf. You agree to pay her $20 for her time and effort. She comes back a few days later with a bottle of wine to share and five items for you to try on. You hang out in your bedroom and try everything on while she gives you advice on how to pair the new garments with the clothing you already have in your closet. You decide to keep three of the five things she bought, and she forfeits the $20 you gave her to go toward what you’re keeping (nicest friend ever!). Oh, and she also offers to return the things you don’t want to keep, so you don’t even need to leave your house. Doesn’t that sound awesome? That’s essentially what Stitch Fix is. The only difference is that your shopping friend is virtual and can’t bring you wine. You can read more about how it works on the Stitch Fix website, but in the meantime I’ll share some of my personal reasons for loving this company so much, and how it’s helped me simplify my life. In all honesty, when I first heard about Stitch Fix , I was NOT interested. I was in a period of my life where I was focusing on simplifying and paring down. Moving a lot has forced me to confront all of my possessions on a regular basis, and after packing/unpacking boxes and reorganizing closets and cabinets for the second time in two years, I realized just how annoying “stuff” can be, and how little of it I truly care about. So despite hearing good things about Stitch Fix, I didn’t feel like a virtual personal shopping service was something I needed OR wanted. As I learned more about it, however, I began to think that the service might actually save me time and money if I went about it in the right way. Since you can cancel at any time, I decided to give it a try to see whether it would help or hinder my paring down process. I promised myself that when I signed up for the service, I was going to use it as my primary source for new clothing. As a result, it has helped me to stay out of the stores, resist impulse buying, and really think about what I need instead of just buying something because it’s on sale, because I’m in a rush, or because it looked cute in the window. I make the most out of what I already have in my closet. My favorite thing about Stitch Fix is that I can write notes to the stylist before each scheduled fix. I use the notes to give specifics about what types of garments I’m looking for, and to request possible matches for clothing I already own. This is probably the most important part for me. I actually do enjoy shopping when I have time to browse stores on a lazy Sunday afternoon or on an outing with a friend, but in my day-to-day life I’d rather dedicate my free hours to something other than seeking out a new pair of shorts. To me, the $20 styling fee is well worth the time (and gas) I save trying to find clothing I like…especially because the fee goes toward anything I decide to keep. I’m willing to bet scientific research would prove that receiving packages in the mail is good for the soul. 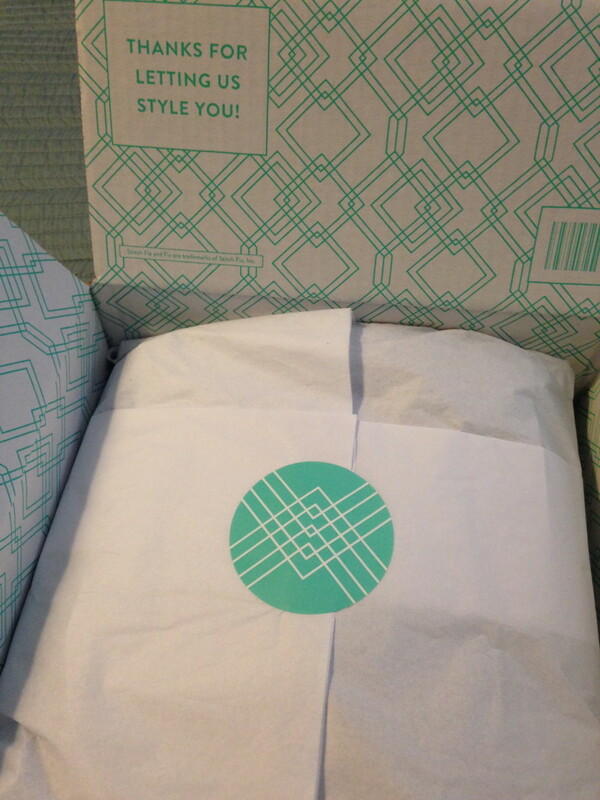 :) I know it seems frivolous, but it truly makes me giddy with excitement when I see my Stitch Fix box waiting for me on the doorstep. The clothing and accessories come neatly packaged, and there’s a little card inside that shows various ways each item in the box can be styled. It really feels like I’m getting a gift, even though it’s one I have to pay for. 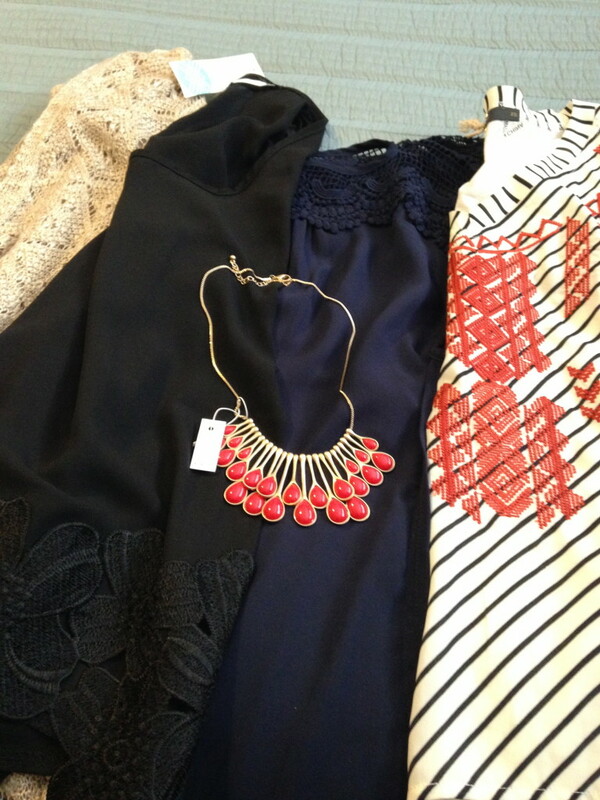 There are no catches or gimmicks to be worried about with Stitch Fix. You can cancel at any time, and schedule your fixes to come as frequently as every two weeks or as infrequently as once every four months. The only bummer is that sometimes you might get a dud of a fix where nothing fits or looks good on you. From reading reviews by people who’ve been long-time Stitch Fixers, I’ve learned that the fixes definitely get better and more perfectly suited when you give a lot of information to your stylist AND give detailed feedback after each fix. One thing that made my fixes better was linking my account to a Pinterest board where I pin outfits I like and even some garments from Stitch Fix’s own Pinterest page. I’ve also had good luck when I’ve gotten specific about the type of garments I’m looking for and the type of clothing I like. UPDATE: I’ve written a second post on How to Make the the Most of Your Fixes, which is a must-read if you decide to sign up for the service. Stitch Fix might not be for everyone, but for me it’s been a huge time and money saver, and a lot of fun as well. It’s worth trying it out to see if you might love it too! Disclaimer: I am not employed by Stitch Fix, but I did sign up to be a Stitch Fix affiliate since I’m such a big fan. 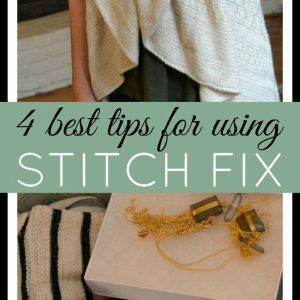 If you’re interested in trying it out, I’d greatly appreciate if you sign up through any of my Stitch Fix affiliate links throughout this post. Make sure to check out these posts, too! 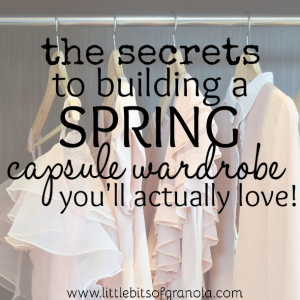 The Secret to Building a Spring Capsule Wardrobe You Will Love! Unfortunately I don’t think they do yet, but they’re growing every day! 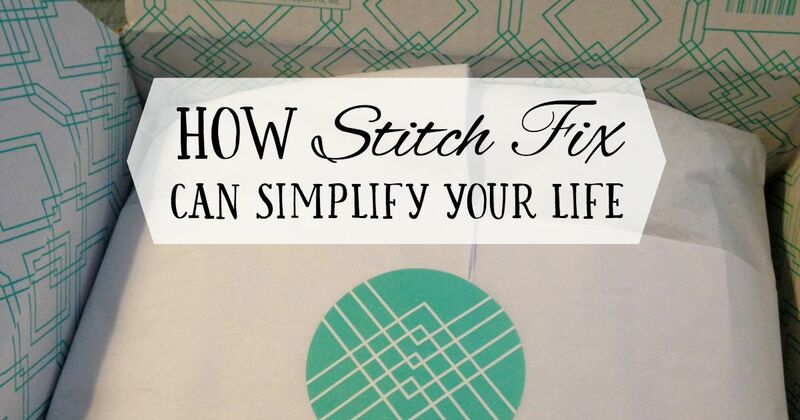 I love seeing a post about how Stitch Fix can simplify your life. It sure does! 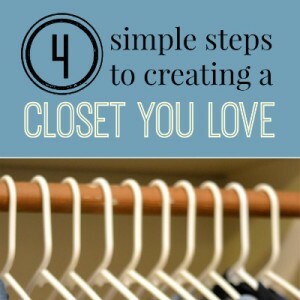 I am a huge fan as well and it has made getting dressed in the morning so much faster since I love everything in my closet…and I didn’t have to shop! Win, win, win! It’s kinda like having your own personal stylist! nothing wrong with that! The nice part is that you can be a little more honest with a virtual stylist than you can in person. I always get intimidated by salespeople in stores and feel guilty telling them if I don’t like something they suggest, but it’s easier to be truthful about my likes/dislikes through Stitch Fix.